Thing is Geneon didn't own it either. It w as on loan to them for the subbing/dubbing from one of the old cartoon companies to do the subbed releases. It's kinda of like Bandai US giving Funimation the right to release Gundam series though Bandai still owns it in the US. I can understand that; and with me, with the unlicensed anime I like that I often find fansubs for (Pretty Cure, for instance) I'd buy a official version with dub and subtitles if it ever came over here. The first season of Pretty Cure was (badly) subtitled on CR, if you want to check it out before you start diving into the murky world of fansubs. Speaking of the Pretty Cure metaseries thing...was it just me, or was Smile Precure horrible in terms of characters, plot, etc., outside of the villains? The villains seemed to make the show for me. Yeah, it was horrible. I got bored and came back on the ending for that one, which is rare. Ugh. They really dropped the ball there. HappinessCharge Pretty Cure (the latest series) is shaping up to be good so far though. All (most?) of the incarnations have the quirky miniboss squad. Certainly seasons 7-10 have them. The quirky miniboss squad characters are certainly quirky, but I don't think they are super-interesting characters. All magical girl series seem like an excuse plot for magical girls to fight monsters and look cool doing it. They succeed at this (that is why I enjoy watching), but at the cost of the plot. They tend to always use the dismantled macguffin and monster-of-the-week tropes for that once an episode feeling. There are exceptions like Madoka Magica, which didn't focus so much on how cool it is to be a magical girl, and it has a more interesting plot as a result. Doremi has been doing subs for Precure for awhile, I think since season 3. Recently they got a third staff member, an editor, and their subs have improved as a result. Actually, it wasn't season 3, Flame. It was HeartCatch (which if I'm not mistaken was the 7th season of Pretty Cure) where they turned up on the scene. They've gone back and worked on the fifth season which isn't quite done yet b/c they have to wait on the translator. Rest of the Precure seasons(except the 7th season onward, which are all done by Doremi) are done by a hodgepodge of groups, some even 1-2 man groups. If it helps, a group called CureCom is keeping track of all the subs, as well as did some subbing themselves. (They're ultra slow though, at least on the subbing) They are worth searching for. And I consider most magical girl series kinda fun; tho with Precure, some series just fall flat. Smile sure did. [Edit again]Here is the very first season of Pretty Cure. It's a little different than the ones you might be familiar with b/c 1. there's only 2 heroines and the always together thing too. Be warned, the official subs are not that great to be honest but they are good enough to understand it. ^^ If you wanna know I got interested b/c of a ref in a Digimon episode a while ago..Curiosity kills the cat! 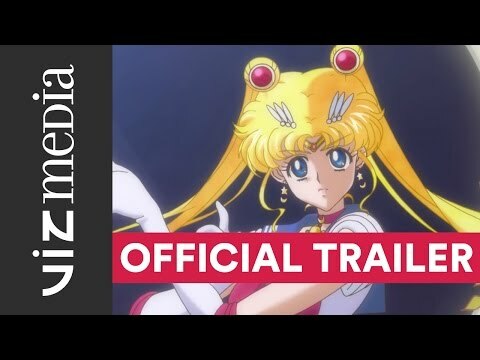 Pardon me for double posting...but ENGLISH SUBBED TRAILER FOR SM CRYSTAL IS OUT. Also according to Moon Chase, it's going to be playing on CR, Neon Alley, and NicoNico. Also there will be a dub preview at Anime Expo on July 5th. We should be able to view the new dub soon after that. 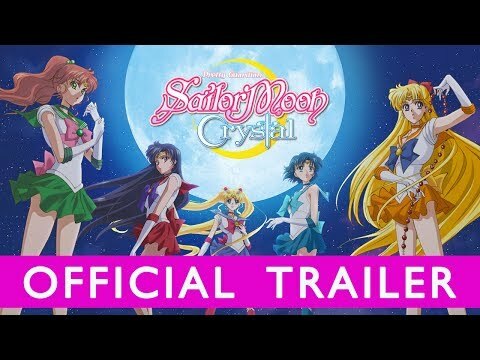 One thing I'm wondering; will the voice actors be the same for the new dub for the original series and the dub of Sailor Moon Crystal? I haven't been able to get a straight answer on that. From what I heard, no, they won't be the same voice actors. Brand new cast and everything. I don't care what anybody says, the original cast will always be the best. It's kind of odd to say "original cast," since the Sailor Moon English dub has had several actors come and go for the characters. Sailor Moon herself has had three voice actresses: Tracey Moore for episodes 1-11, 15, and 21, Terri Hawkes for everything else, movies included, up to the S and Super S seasons, then Linda Ballantyne for those two seasons. Out of those three, I feel that Terri Hawkes was the best and most fitting. Tracey's voice was kind of annoying, and while Linda is better than Tracey, she sounds like she has a constant cold. Apparently, both Terri and Linda have expressed interest in reprising the role of Sailor Moon in the future (and that future is very soon, ha ha). Heck, nearly all of the sailors' actors were changed at one point or another. Only Sailor Jupiter kept the same actor, Susan Roman, throughout the entire run. 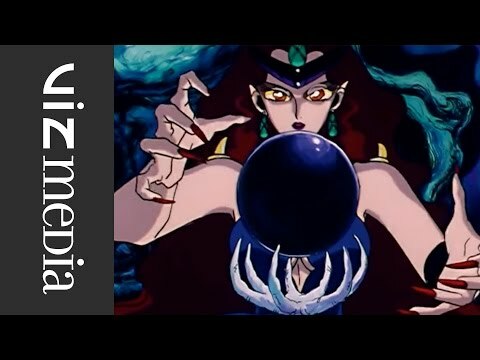 Sailor Mars is an odd case, as she is mostly played by Katie Griffin, except for the last 17 episodes of R, where she was voiced by Emilie Barlow (American fans might remember those being called "Sailor Moon: The Lost Episodes" on Toonami). Emilie actually went on to voice Sailor Venus for S and Super S, replacing Stephanie Morgenstern. I always preferred Terri Hawkes as Sailor Moon, Susan Roman as Sailor Jupiter (for reasons you listed), Katie Griffin as Sailor Mars, and Stephanie Morgenstern as Sailor Venus. So okay. MORE trailers for SM Crystal out! Seems Viz made a gentleman's deal with CR so both could stream it. I hope this eventually means that Viz'll make a deal with CR for the original SM for you Canadian fans out there. Well, the first ep of SM Crystal is out. Can find it for free on Hulu and Crunchyroll (Seems they made it available on CR to everyone without paid, but if you hate ads pay the $10!). Good for a first ep, really close to the manga, but Moon's henshin is really jarring. Couldn't they of gotten some better cgi artists? Or done it in not-3d? Oh well. I think it's fun anyway. I agree, I didn't like the CGI transformation. 2D would have worked much better for this. 4. Wasimo - As I figured, no one touched this series, so who knows if it was good or not. 5. KutsuDaru - See above. 6. Mischief of the Gods - So disappointed in the first episode. First off, the "teacher" is a high-school girl (and a boring one at that), so she doesn't quite have the maturity to dealing with "young" gods. I ultimately so no reason to continue since it's basically a fan-service show for girls, and none of the guys do it for me. 9. Mr. Cartoonist's Assistants - Dropped quick and hard. Not fun, and just overall sleazy. 11. Insufficient Direction - Never heard of anything for this. Weird, since it's about Anno. 1. Ace of the Diamond - The tournament is in full-swing, and the main character is finally starting to come into his own. Finally the games are getting the kind of attention they deserve, and I look forward to see how far we will go in the tournament as the show enters its fourth and final cour. 2. JoJo's Bizarre Adventure: Stardust Crusaders - While I don't really like Part 3 like some people, I am always up for some JoJo. 3. HQ!! - The games are really energetic, though I imagine the moe-ness of some of the boys may be a turn-off. I'm at least having a good time. 4. Baby Steps - However, I think I prefer Baby Steps due to the analytic nature of the plot. The main character is steadily growing, but I except another wall to appear soon. I'm curious to see just how much we'll get done with another cour. 5. Rowdy Sumo Wrestler Matsutaro - As excepted of Toei, the animation is meh. Matsutaro is a hard-to-like jackass, but he's slowly warming up. Emphasis on slowly. It won an award for best seinen manga back in '77, so I'm holding out still. It also has a killer OP. 1. Glasslip - I like P.A. Works. It's that simple. 2. Sailor Moon - Finally. I am still not convince this is going to be good, but I'm holding out. 3. Sword Art Online II - Because there is nothing else. At least SAO has production values. 4. Barakamon - Sounds pleasant and homey. 5. Aldnoah.Zero - Whatever. Let's do it, Gen.
6. Space Dandy Season 2 - Hopefully it will be overall higher quality than the first season. Season 1 wasn't bad, but it needs greater consistency in its set pieces. 7. Survival Game Club! - This is maybe a double-standard, but I'm giving it a chance since this is a shojo manga, so it shouldn't be otaku-pandering. 8. Blue Spring Ride - Sounds like a nice romance series. 9. Persona 4 Golden - Maybe it will be better animated. Not sure if it will be subbed, though. 10. Terror of Resonance - A Watanabe-Kanno anime... about terrorism. Sure. 11. Nobunaga Concerto - The art style looks neat. 12. -Story Series Season Two +a - About damn time. 13. When Do You Crush the Fried Egg? - No one is going to sub this. But if they do, I'll be there. NEW SM DUB CAST ANNOUNCED! I hope they all do a good job when we can watch it! I'm buying the disks soon as they show up on Amazon! I was kind of hoping some of the old cast would be tracked down for the new dub. Ah well, this is still an awesome cast of well-known Californian actors and lesser-known ones as well. This will take some getting used to but I'm also excited. My sister is baffled at the choice of JYB as Artemis. It's an interesting choice, to be sure, but one I can picture. Stephanie Sheh as Usagi herself is a good choice; she's got a pretty good range on her. Ah right, this is just the first season. I was also hoping Laura Bailey would play someone, but there are four other seasons (unless she just does some characters/monsters of the week). Listen, we've struck gold for the Dark Kingdom. It'll be amazing for them alone. Sailor Moon's voice does not work for me. But then again, it doesn't feel like it fits. Knights of Sidonia turned out to be quite good, though the first season is very short (12 episodes). Highly recommended to science fiction fans. Unfortunately, due to the season's size, there are far more questions than answers right now. Well, I like Stephanie more than Tracey Moore and Linda Ballantyne already. She's no Terri Hawkes, though. She fits Usagi, even if I don't think she's the best fit. I also kind of preferred Mamoru's (or Darien, I suppose) line in the original dub: "Are you stupid or just incredibly lazy?" I wondered if they played him up to be meaner in the TV dub. 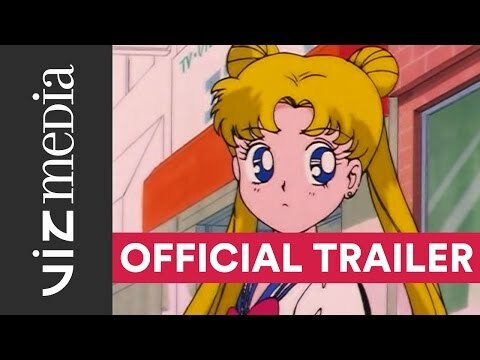 Some of the earliest things I did on the Internet was go to Sailor Moon fansites and read up on the changes to the dub version, but I don't recall that. It's not just quite good, it's amazing! Wonder why nobody talks about it. And until now the only sci-fi anime I liked was Gundam SEED. In fact Knights of Sidonia is fairly closely related to reality (as in a realistic view on the future), so many of the things you can "imagine" yourself quite well. Strawberry; I understand they DID play up a lot of charas to be meaner in the original dub. I was just checking Sailor Moon Uncensored and..
That's one of the reasons I like it so much. It's rare that hard sci-fi (or at least, harder than usual) Japanese products are localized. Well, it's a rare subgenre in general I suppose. I think, if you consider the original Japanese, Luna sounds just fine. Um..she's not a old british lady. Michelle Ruff, talented as always (though her voices tends to be very samey). I know Luna was always suppose to sound young, but Luna without a British accent will take some getting used to. I present to you Jadeite and Queen Beryl! THIRD DUB CLIP!